Thank you to each Golf Club below (in alphabetical order) who have donated 1 midweek 4 Ball to feature in our first Online auction of 2018. Don't see your Golf Club on the list? 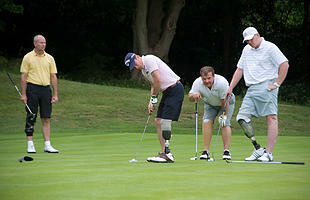 Every Golf Club in the United Kingdom was invited multiple times throughout January (via email) to unite in honour of our wounded servicemen and women and support On Course Foundation. The auction goes live mid April – if you wish to add your Golf Club to the Roll of Honour before the auction 'Go Live' date, email golf@nationalgolfclubchallenge.com and we will include you.